Lucky for me when I travel up to New York City I get the opportunity to visit the Etsy offices in Brooklyn since my better half, Mary, works for the company. 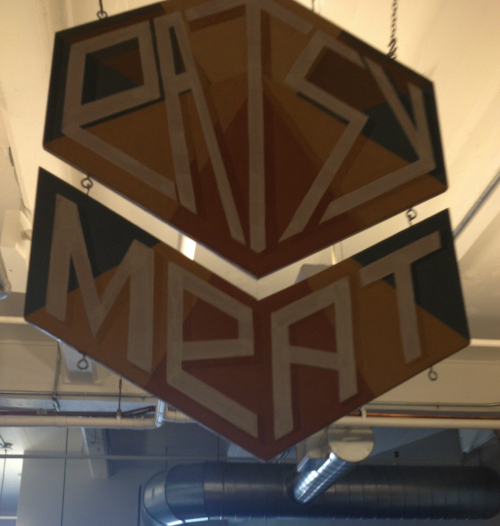 Not only is it cool just to see all of the creativity in the office space itself, but the company regularly provides staff members a sustainable lunch with a program called Eatsy! In true Etsy fashion, the food is provided by a local restaurant or caterer that sources local produce utilizing local farmers. The menu satisfies all tastes (and diets) including meat lovers, vegetarian, vegan, and gluten free options! 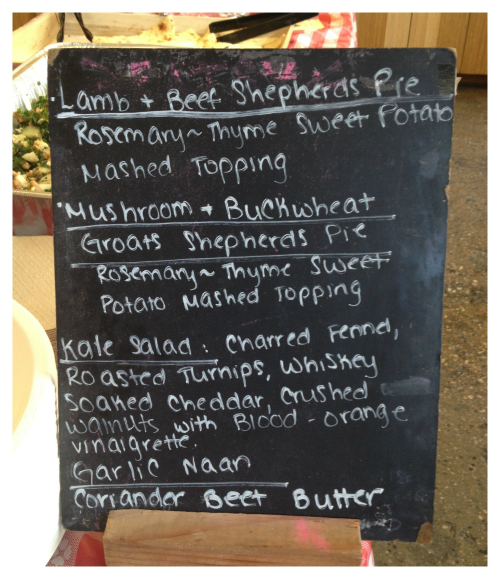 Tuesday's menus and food were provided by Radish — located right in the heart of Williamsburg, Brooklyn on Bedford Avenue. All of the utensils, plates, and paper products are recycled or composted and taken to the Red Hook Community Farm. The fun video below shows where all of the organic waste goes. Composting at Etsy from Etsy Inc. on Vimeo. What a wonderful perk for the office of Etsy and visitors like me. It would be nice to see more companies jumping on this bandwagon of supporting local caterers, restaurants, and farms in the community. This is not a new trend, but one I'd love to see grow and expand. 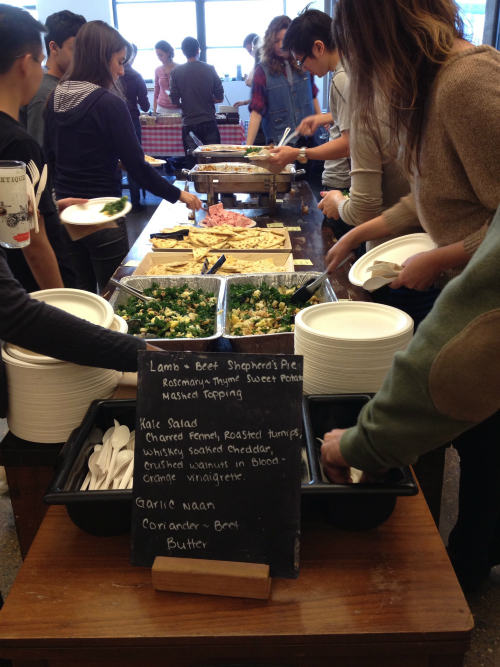 Does your office ever provide lunch and are they utilizing local folks to provide it? Awesome! I really love how etsy takes an active role in urban agriculture! In so much agreement with you Pamela! Thanks for taking a look. 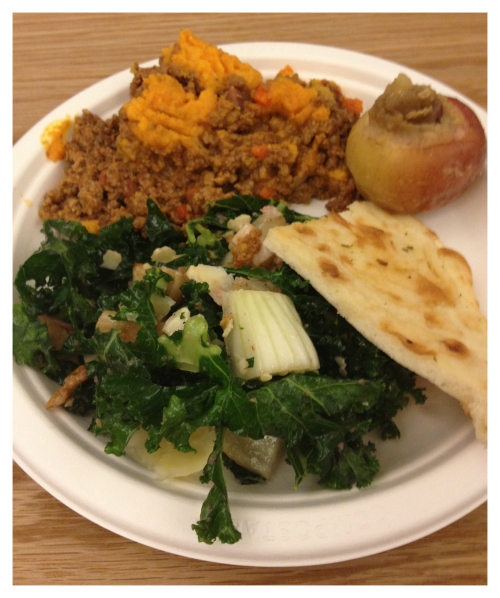 My company provides a cafeteria food service, but the food is rarely healthy, not very fresh, not hot, not tasty and quite expensive. Really a dissappointment when ramen is a better choice. How cool!! Every once in awhile my company has a "Tacofest" and a local company comes and makes tacos with handmade tortillas! I'm not sure where the rest of the food comes from-local, etc. But it's nice to be supporting members in our community that hand make the food! So fun! I love Etsy and it was really neat to learn about this.